KEY QUESTION: How are we visible to each other? What remains invisible? There are some elements of who we are that are highly visible. 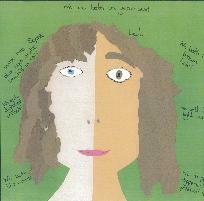 These include gender, skin colour, height, hair colour and so on, but what about the less visible aspects of who we are? These activities use the idea of visible and invisible differences/similarities to stimulate discussion amongst learners around the question Who Are We? 1. 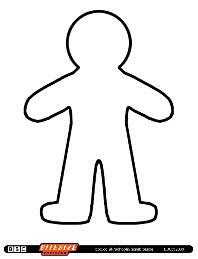 Introduce learners to the person outline (right) and ask them to draw their own outline on a piece of paper. you will need to ensure they leave enough room to write both inside and outside of the outline. If you would rather use a template then click on the outline right to download. 2. Organise learners into pairs and ask them to firstly just look at each other. Their task is to identify as many things as they can about each other that are visibly the same or different. They should write these down on the outside of the person on their sheet. You will need to devise a mechanism for recording the similarities and differences. We suggest using different colour pens or perhaps dividing the whole outline vertically down the centre with differences on one side and similarities on the other. 3. Once you are happy that learners have exhausted stage 2, ask them to talk to each other and see if they can find invisible differences and similarities. Ask them to add these to their outline, this time putting them on the inside of the person. 4. When learners have had a chance to explore their invisible elements, bring the class back together and have a discussion about visible and invisible differences and similarities. What have they learned about each other and about themselves? How does this influence how they might approach others in the future? With careful introduction this activity could form the basis of a linking activity. Learners from partner schools could be paired up to share their understanding of visible and invisble elements of who are we? How do they find talking to people when they meet for the first time? Now that they have had a chance to talk to someone they don’t know so well in their own school do they feel more confident about meeting and talking to a person in the link school? Why is being able to chat and make conversation important?